CRAZY DISCOUNT! 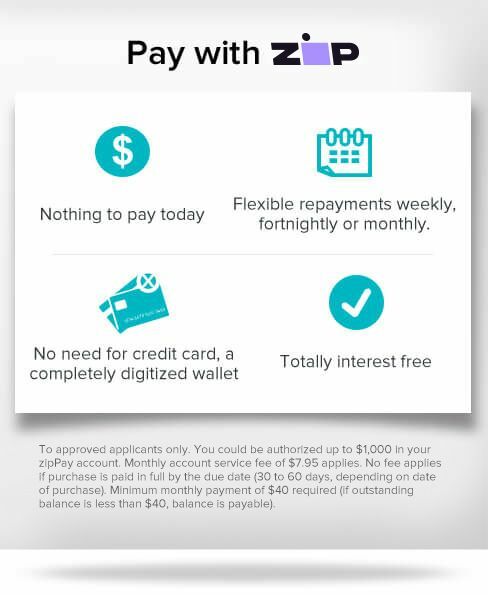 Was: $259.95 Now: $229.97! The Tag-Along Bike Trailer & Jogger gives you total independence on the road. Simply attach it to your bike using the universal coupler stash the toys and snacks into the spacious storage pocket secure the kids with thespan 3-point harnesses, and off you go. Pneumatic Tyres, your kids will enjoy a smooth ride over any terrain. And the all-weather canopy and sun-screening mosquito mesh provide perfect protection from the elements regardless of the weather. 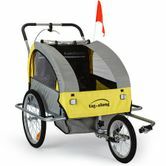 If your journey takes you off road, simply park your bike and convert the Tag-Along trailer into a great stroller. Lightweight and featuring a full-length handlebar and easily accessible handbrake, it's as good for jogging as for towing. So, don't let any logistics limit your travel plans.